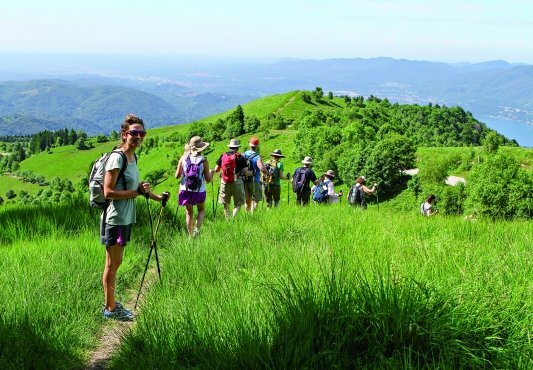 Marvel at a gallery of landscapes scrolling past your gaze on this breathtakingly picturesque roll along Spain’s “Brave Coast.” Castle-crowned villages alternate with pastoral scenes of fertile fields and coastal vistas as you roll beneath the backdrop of the Pyrenees. 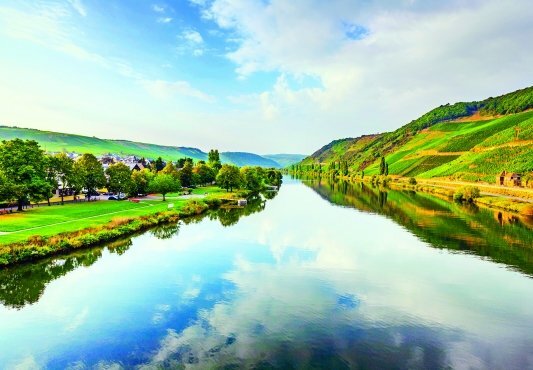 And as you discover the land that inspired artist Salvador Dali, you’ll also meet its modern-day residents in farms and orchards, and gain a different perspective on a private scenic cruise. Off the bike, relax in 4-star accommodations with generous amenities. Come join us on an itinerary that’s truly a masterpiece! 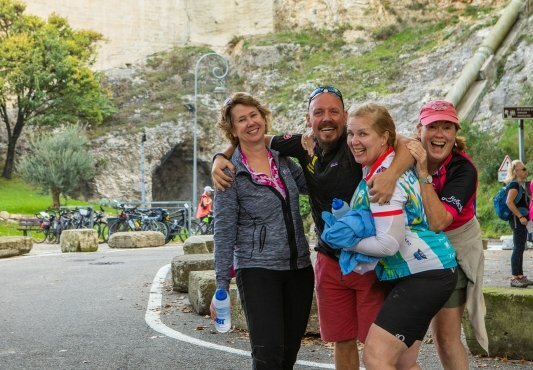 This tour offers easy terrain throughout the trip and is ideal for beginning cyclists; however, there may be some challenging hills for non-enthusiastic riders. VBT’s van support shuttle is always available for those who would like assistance. Some roads may have busier traffic during the popular months of June and first two weeks of September. Embark on a walking tour of the Old Town of Girona. Bear witness to the personal life of artist Salvador Dali during a visit to Púbol Castle, his beloved home. Gaze at the majestic Pyrenees over a special dinner on the terrace of your lovely La Bisbal d'Empordà hotel. Pedal a rural landscape past fields of sunflowers, fruit orchards and rice fields. Stroll the cobbled streets of Pals, admiring the town's Gothic and Romanesque architecture. View the artists' galleries and 11th-century castle of Peratallada, a moated town built of stone. Pause in a lovely apple orchard to learn about cider production. Savor a delicious, home-grown lunch as the guest of a small Catalonian farm. Enjoy the breeze as you stroll the beachside cycling path from your hotel in L'Escala. Admire one of the finest amphitheaters outside of Rome on a guided audio tour of the Greek and Roman ruins of Empuries. Enjoy a scenic private cruise along the Costa Brava. Toast your travel mates with some of Catalonia's finest wines during a festive farewell dinner. Depart from home and travel to Spain. The particulars of your arrival overseas are detailed with your flight itinerary and airline tickets. Upon arrival at the Barcelona airport, claim your luggage. If your luggage is delayed, fill in a PIR form before leaving the baggage claim area—VBT representatives are not allowed into the baggage claim area. Please make certain that your VBT luggage tags are affixed to your bag so your VBT representative can identify you. After exiting customs, enter the arrival hall, where your VBT representative will be holding a VBT sign and will make arrangements for your transfer to your hotel in Girona, the cultural capital of Catalonia. Transfer time is approximately 90 minutes. VBT provides you with City Information that includes information and recommendations on what to see and do in Girona during your stay. You have the rest of the day to relax or to begin your exploration of the city. If you arrive early, your hotel room may not be available until 3:00 p.m. You may store your luggage at the reception desk. VBT Pre-Trip Extension and Air Package guests: This morning, meet your local guide at the hotel and set off on a walking tour of Girona’s Old Town. Discover this city’s ancient past as you cross the Onyar River into one of Europe’s largest Jewish quarters. You will also pass the Church of St. Felix and the town’s splendid Cathedral, which boasts one of the world’s largest Gothic naves. After your stroll, don your cycling clothes and shuttle to the foothills of the nearby Pyrenees, where you’ll meet your VBT Trip Leaders for lunch. Afterward, attend a bike-fitting and short orientation, and begin your afternoon’s warm-up ride through scenic mountain valleys and along Lake Banyoles. Pause along the shores of the lake to enjoy a picnic lunch. Back in Girona tonight, your small group gathers for a welcome cocktail reception before enjoying a delicious welcome dinner poolside at the hotel (weather permitting). Bid farewell to Girona today and shuttle into the heart of the historic Baix Empordà province of Catalonia to the quaint medieval village of Púbol. Here, you’ll visit Púbol Castle, purchased by Salvador Dali in 1970 as a gift for his wife Gala. Enjoy a glimpse into Dali’s personal life and witness his many talents as you see some of his original paintings, sculptures, and custom-designed furniture. You can also admire some of Gala’s haute couture dresses, designed by Christian Dior exclusively for her. Gala continued to live here until her death in 1982. She chose her beloved Púbol Castle as her final resting place and is buried in the cellar’s mausoleum. Later, ride through lush farmlands and small villages where you may enjoy lunch at leisure in one of the village cafés. After lunch, you’ll cycle to the coastal village of Platja de Pals for our first nights on the Costa Brava. Tonight, meet the hotel owner before enjoying a special dinner in the hotel’s well renowned restaurant. This morning, you’ll ride into the surrounding rural landscape past fields of sunflowers, fruit orchards and rice fields, pausing throughout the day to step back in time into a few of Baix Empordà ’s medieval villages. Coasting into Pals, you will be charmed by cobbled stone streets and an impressive Gothic Quarter whose facades feature pointed arched windows, stone balconies and semicircular arches. The town’s Roman wall with its four square towers and the Romanesque clock tower—Torre de les Hores (Tower of the Hours)—date to the 4th century. After you explore this historic village, enjoy lunch at your leisure. In the afternoon, continue cycling to the village of Peratallada. Its name translates into “carved stone”—an apt label, as most of the buildings were built from stone taken from the moat that still encircles parts of the village. This atmospheric town has been declared a historic artistic monument. Its dominant structure is the Castle of Peratallada, dating to 1065 AD; restoration of this now privately owned castle revealed traces of a Bronze Age settlement. Take some time to visit some of the artists’ galleries here before getting back on your saddle for your return ride to your hotel. The afternoon is at leisure to relax by the lovely swimming pool or stroll down to the nearby beach. This evening, enjoy a sumptuous dinner in your hotel’s elegant dining room. After breakfast, you’ll cycle toward your home for the next three nights on the Mediterranean Costa Brava. This glorious ride traverses scenic countryside vistas overseen by the snow-capped Pyrenees in the distance. Your destination is the province of Alt Empordà (upper Empordà), north of Baix Empordà (lower Empordà). Take a break from riding as you pass through a lovely apple orchard and learn about the cider production in this special region of Spain. Also enjoy lunch here while tasting some of the local cider. After lunch, enjoy a scenic ride past a medieval mill before arriving in the village of Parlava. Here, you may opt to continue riding or shuttle to our Mediterranean beachfront hotel. Once at the hotel, wander along the waterside cycling path into the town of L’Escala. You may also want to splurge and treat yourself to one of the hotel’s many spa options. This evening, enjoy dinner on your own in one of the hotel’s restaurants or walk along the beachside cycling path to a restaurant in the neighboring village of Sant Marti d’Empuries. This small village was first settled by the Greeks in the 6th century BC and was an important medieval political center. 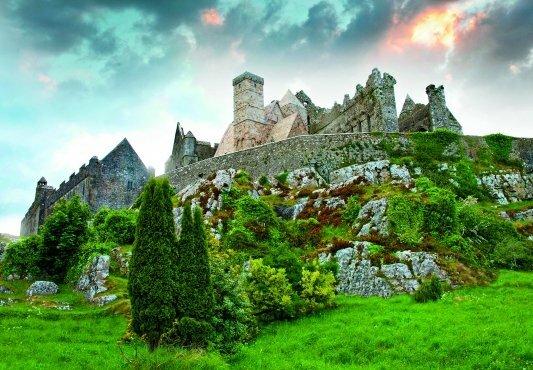 Today, it maintains much of its medieval charm, so it’s easy to imagine what life may have been in that bygone era. After breakfast overlooking the Mediterranean Sea, you will shuttle 45 minutes to the bucolic mountain town of Cantallops near the border of France for the starting point of today’s ride. 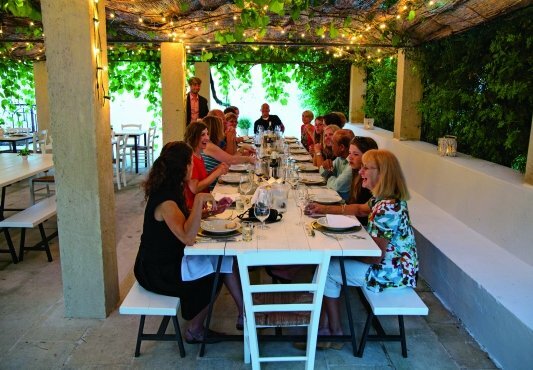 You will cycle through a rural landscape of vineyards and olive and cork trees before meeting your Trip Leaders, who will have prepared a lovely picnic lunch for your enjoyment. Later, continue riding to one of the most important sites in the area: the perfectly restored Peralada castle. You will complete your cycling today in the village of Vilabertran, famous for the Santa Maria de Vilabetran monastery as well as the setting for Dali’s 1913 painting Vilabertran, which he painted when he was nine years old. Later, shuttle back to the Mediterranean coast and enjoy the hotel spa (additional cost) or beach, or explore the neighboring ruins of Empuries, some of the most important Greek and Roman ruins on the Iberian Peninsula. Admission to the ruins is included, and you may take as little or as much time as you wish with an audio self-guided visit of this archaeological site, including one of the finest amphitheaters outside of Rome. Please Note: The Dali Museum is closed on Mondays; if our regularly scheduled visit to the Dali Museum falls on a Monday, we will visit the museum this morning, prior to your ride. Dinner tonight is at your leisure. Dine at one of the hotel’s restaurants or walk along the beachside cycle path to enjoy a quiet meal in the village of L’Escala. This morning, you’ll shuttle to neighboring L’Escala’s marina. 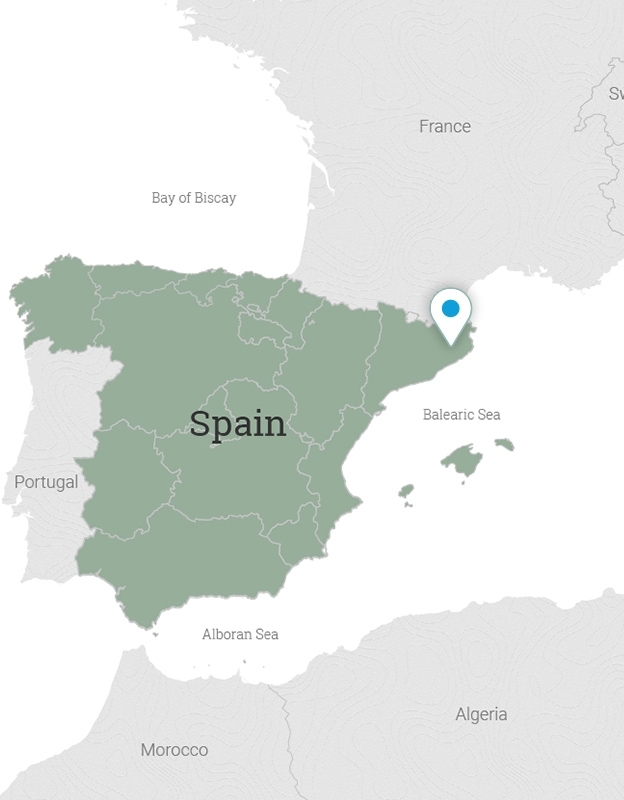 Here, you’ll embark a chartered boat for a private cruise along the scenic Costa Brava. During this thrilling tour, you’ll cruise past gorgeous coves and the dramatic, craggy rock formations of the Islas Medes jutting into the sea. These crystal-clear waters nurture a significant biodiversity, making it one of the most important marine reserves in the western Mediterranean. Your Trip Leaders meet you at the end of your cruise in the port of L’Estartit, with your bicycle ready for the day. Your ride today is watched over by the massive Montgri Massif, which to some locals looks like a sleeping bishop. You’ll see the ancient Montgri Castle perched on its summit as you pedal along. Stop for lunch on your own in the medieval town of Torroella de Montgri, resting on the banks of the Ter River. Once a royal port for the Kings of Aragon, it retains its medieval core and stalwart walls. This evening, join your Trip Leaders and travel mates for a festive farewell reception and dinner at your lovely beachside inn. Much of the menu is harvested from the hotel’s organic garden, and you will sample some of Catalonia’s finest wines over this special meal. VBT Air Package guests: After the tour, transfer to the Hotel 1898, centrally located on Las Ramblas Boulevard near the Placa de Catalunya, for your final night in Spain. You have the remainder of the afternoon and evening free for independent exploration. VBT Post-Trip Extension guests: After the tour, transfer to Barcelona’s Hotel 1898 with your fellow travelers. Here, you may enjoy a short afternoon break before transferring from Hotel 1898 to Barcelona’s International airport for your late-afternoon flight to Palma de Mallorca. Upon arrival at the Palma de Mallorca (PMI) airport, claim your luggage. Exit the Luggage Collation area through Gate C. A VBT representative, holding a VBT sign, will meet you at the Airport Meeting Point near Exit 4. At this time, please verify with your VBT representative the time of your transfer at the end of your trip from your Mallorca hotel back to the airport. If you are not able to locate the representative, go to the Moltona Viatges Office for assistance. You will transfer by private car or van (about 30 minutes) to your centrally located hotel in Palma de Mallorca. VBT provides you with City Information that includes recommendations on what to see and do during your stay. After breakfast* this morning, you will transfer to the airport for your departing flight **. Please ensure that you are ready in the hotel reception area at the designated time. **VBT recommends that you check your transfer time in your Transfer Reminder. VBT transfer times and departure points are finalized in advance and cannot be modified for individual guests. Transfer times are about 40 minutes to the Barcelona airport. If you extend your stay beyond the scheduled program dates, return transportation to the airport will be at your own expense. 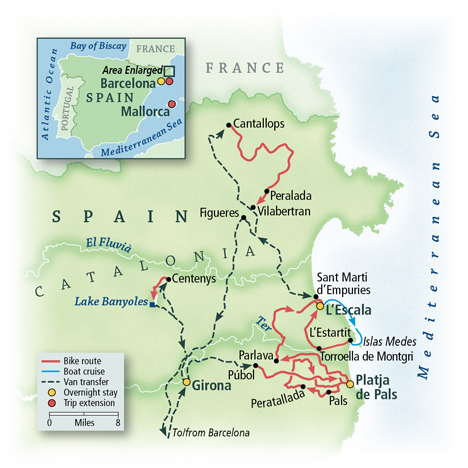 VBT Bicycle Vacation Only guests: Meet your VBT representative in Girona at the hotel Nord 1901 at 9:00 a.m. The contact information for the hotel will be included with your final documents. Please contact the hotel to advise them of any travel delays or changes so the staff can alert the VBT Trip Leaders. Enjoy a guided walking tour of the Old Town of Girona before shuttling to the foothills of the Pyrenees, where you will meet your VBT Trip Leaders for lunch. Please be dressed for cycling for your warm-up ride before departing Girona. VBT Bicycle Vacation Only guests: After the tour, transfer to Barcelona’s Hotel 1898. The tour concludes here at approximately 2:30 p.m. You will need to make your own transfer arrangements to the Barcelona airport. Departing flights prior to 5:00 p.m. are not recommended. If you have an earlier departure, you will need to make your own transfer arrangements to Barcelona. Discover a true treasure. Located in the heart of Barcelona, the historic Hotel 1898 was once home to the Philippines Tobacco Company. The structure was built in 1891 by architect Josep Oriol Mestres. Early in this century, hotelier Núñez i Navarro restored the property, preserving its historic splendor and 19th-century architectural elements and transforming it into the modern-day Hotel 1898. Today, this unique colonial-style structure exudes a special personality that brings the best of Barcelonas rich past to each and every one of its guests. Centrally located on Las Ramblas Boulevard and just a block from Placa de Catalunya, the hotel puts you within an easy walk from all of Barcelonas important sites. The elegant rooms are equipped with free WiFi and beautiful marble bathrooms. The rooftop terrace features a heated swimming pool, or you can enjoy the lovely indoor pool, fitness center, and spa in the tastefully designed cellar of the hotel. 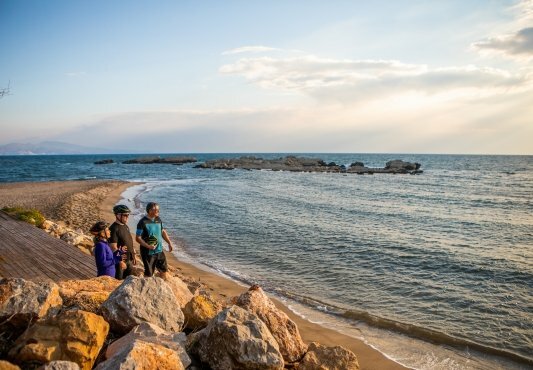 Situated right on VBTs bike route, in front of the Portitxol beach, the Hostal Spa Empuries stands on an ancient settlement, beside the Greek and Roman ruins of Empuries, and is within easy walking distance of the medieval towns of Sant Marti dEmpuries and LEscala. The hotel is dedicated to sustainable tourism and also to the health and well-being of its guests. Gym facilities are complimentary, and optional spa services and indoor pools are also available. 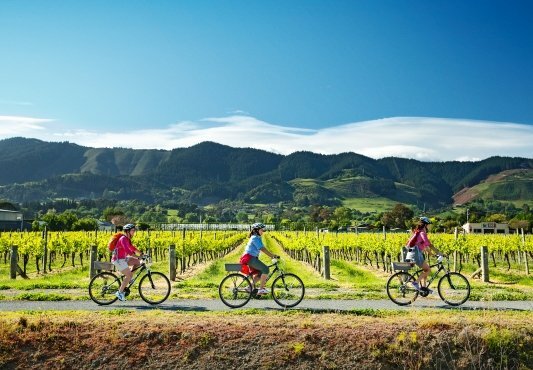 For this bicycling tour, VBT has reserved the larger garden-view SPA rooms, whose large terraces are ideal for gazing at the lovely gardens of native vegetation surrounding the hotel. Each room also features a flat-screen TV, telephone, climate control, safe, minibar, free WiFi, and a full private bathroom with a large tub and separate rain shower, hairdryer, and toiletries. Located in the historic heart of Girona, the Nord 1901 Hotel was completely renovated in 2009 to offer a sophisticated flair and modern amenities while still preserving the ambiance of its Old Town setting. Intimate and family-operated, it is within walking distance of Gironas main attractions, including the colorful houses along the River Onvar, the Plaza Independencia, the Jewish quarter, the cathedral, and a wide range of popular restaurants and cafes. Enjoy breakfast on the garden terrace, and take advantage of the only garden with a swimming pool in the city center. Each luxurious room is equipped with climate control, a safe, hot-water kettle for coffee- and tea-making, flat-screen TV, free WiFi, and a private bath with shower, bathrobe, slippers, and hairdryer. The Hotel Sa Puntas magnificent setting among pines is less than a 15 minute walk to the beach of Pals in Costa Brava. Within the grounds of the hotel you will find lovely gardens and a semi-Olympic size salt water swimming pool. The Font brothers have owned and operated the restaurant and hotel for almost 40 years and their attention to detail is evident wherever you look. The Sa Punta restaurant has a world-renowned reputation that has attracted celebrities for years and is considered one of the best restaurants in Costa Brava. The large guest rooms are fitted with all the amenities of a luxury resort and the VBT Superior rooms have a terrace overlooking the hotels lush gardens. Upon arrival at the Barcelona airport, claim your luggage. If your luggage is delayed, fill in a PIR form before leaving the baggage claim area—VBT representatives are not allowed into the baggage claim area. Please make certain that your VBT luggage tags are affixed to your bag so your VBT representative can identify you. After exiting customs, enter the arrival hall, where your VBT representative will be holding a VBT sign and will make arrangements for your transfer via private car or van to your Barcelona hotel, conveniently located on Las Ramblas Boulevard near the central Placa de Catalunya. Transfer time is approximately 40 minutes, depending on traffic. Then, discover Barcelona at your leisure as you spend two nights in one of the most beautiful and vibrant capitals of the Mediterranean. Well known for its history, cuisine, and contemporary architecture, Barcelona is a unique blend of modern and ancient delights. Its Roman ruins tell tales of a fallen empire, and the Ciutat Vella—the Old Town—invites long strolls along narrow, winding pedestrian streets and past old markets, theaters and pastry shops. VBT provides you with City Information that includes recommendations on what to see and do in Barcelona. If you arrive early, your hotel room may not be available until 3:00 p.m. You may store your luggage at the reception desk. Continue your independent exploration of Barcelona. Marvel at the genius of Antoni Gaudí, admiring the Modernist facades of his surreal buildings, including the soaring Sagrada Familia Cathedral and his playful Parc Guell, with its colored mosaics of trees. Seven structures built by Gaudí are UNESCO Word Heritage Sites, testifying to his exceptional contribution to the development of architecture around the turn of the 20th century. You might also visit his Casa Battlo, La Pedrera and Casa Marti. Browse the famous Boqueria covered market. Explore the medieval Barri Gotic district, home to The Cathedral of Barcelona, and the city’s Jewish Quarter. Many sites are within walking distance of your centrally located hotel near the Placa de Catalunya. Be sure to enjoy delicious small-plate tapas at the Barceloneta old port, or take a leisurely stroll via the lively Ramblas Boulevard to the sea, where you can stroll among the scented flower market, or stop at Pasteleria Escriba to taste its delicious crema catalana. Check out of your hotel this morning (check-out time is 11:00 a.m.) and continue your exploration of Barcelona. After a leisurely lunch, meet your VBT representative at 2:15 p.m. in the lobby of the hotel. He or she will assist in your private transfer to Girona, the cultural capital of Catalonia. Upon arrival, enjoy a short stroll to the hotel where you will stay for the next two nights. Note: Transfer times are subject to change; the exact time will be confirmed to you upon arrival in Barcelona. After the tour, transfer to Barcelona’s Hotel 1898 with your fellow travelers before continuing to Barcelona’s International airport for your late-afternoon flight to Palma de Mallorca. Upon arrival at the Palma de Mallorca (PMI) airport, claim your luggage. Exit the Luggage Collation area through Gate C. A VBT representative, holding a VBT sign, will meet you at the Airport Meeting Point near Exit 4. At this time, please verify with your VBT representative the time of your transfer at the end of your trip from your Mallorca hotel back to the airport. If you are not able to locate the representative, go to the Moltona Viatges Office for assistance. You will transfer by private car or van (about 30 minutes) to your centrally located hotel in Palma de Mallorca. 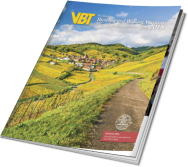 VBT provides you with City Information that includes recommendations on what to see and do during your stay. This morning, meet your local guide at 9:00 a.m. for an included walking tour of Palma de Mallorca. After your orientation tour, you’ll have ample time to follow your whims during your independent stay at our centrally located hotel. Wander the Old Town, brimming with medieval atmosphere, inviting shops and relaxing cafés. Marvel at the Gothic wonder of the massive Seu Cathedral. Head up to the 14th-century Bellver Castle, a spectacular circular structure built by King James. Continue your exploration of the beautiful island of Mallorca today. 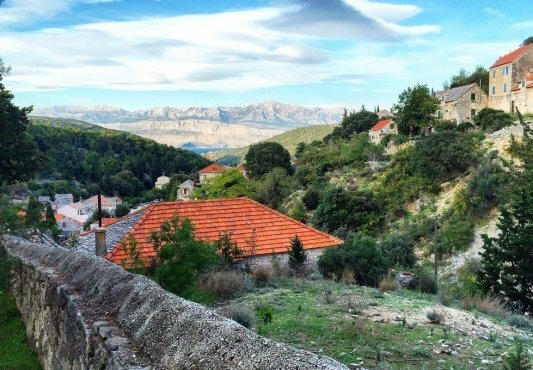 You may want to venture to the mountain village of Valldemossa, where composer Frederic Chopin secluded himself in a monastery to write some of his most famous pieces. After breakfast* this morning, you will transfer to the Palma de Mallorca airport (about 30 minutes, depending on traffic) for your departing flight **. Please ensure that you are ready in the hotel reception area at the designated time. **VBT recommends that you check your transfer time in your Transfer Reminder. VBT transfer times and departure points are finalized in advance and cannot be modified for individual guests. If you extend your stay beyond the scheduled program dates, return transportation to the airport will be at your own expense.